Home › Media Posts › Volunteers Are The Key To Success. Volunteers Are The Key To Success. 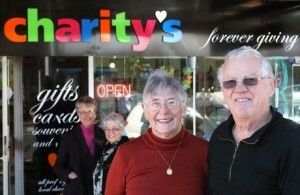 Charity’s has had a successful first year in business and staff plan to continue giving to the community. The store in Tutanekai St was opened last July by the Rotary Club of Rotorua Sunrise and in its first six months of operation, it donated $8000 to the community. Read the full article in the Rotorua Daily Post.